Join the battle and build a Combiner super robot with this 7-in-1 Combiner Wars Computron Collection Pack! 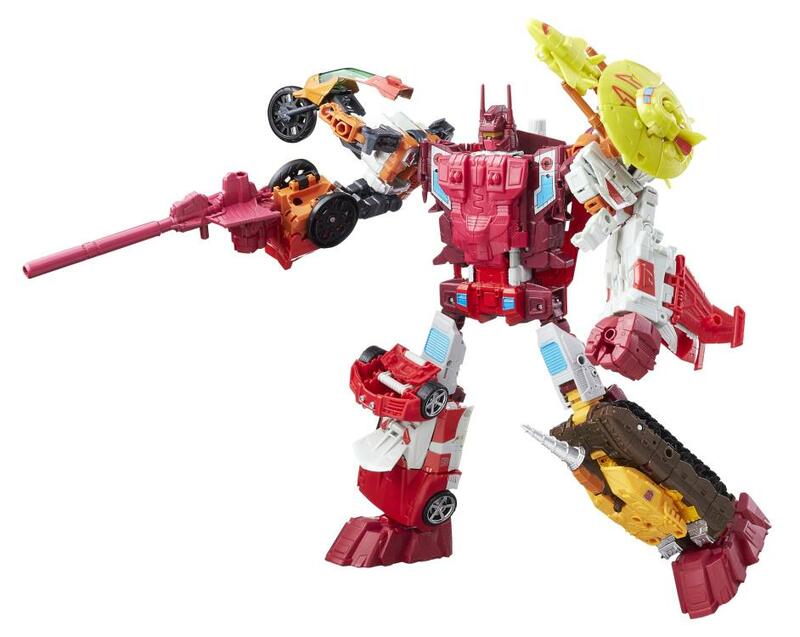 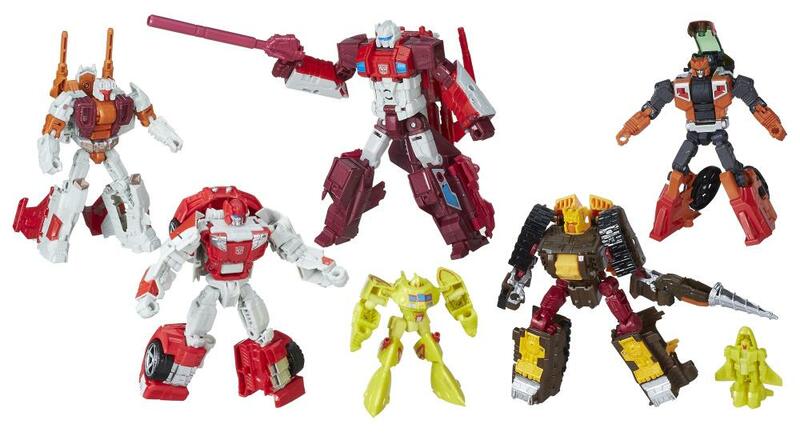 Get 6 Technobots figures that combine to form a Computron Combiner figure in this 1 set. The Voyager Class Scattershot figure forms the torso of the Computron Combiner figure; the Deluxe Class Afterbreaker, Strafe, Lightspeed, and Nosecone figures form the arms and legs; the Legends Class Scourge figure becomes a Combiner weapon. 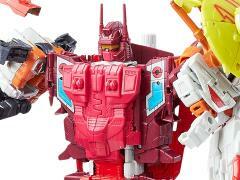 The Combiner Wars universal connection system means these figures work with other Combiner Wars figures. Combine the Scattershot figure with other Deluxe Class Combiner Wars figures or combine Afterbreaker, Strafe, Lightspeed, and Nosecone figures with other Combiner Wars Voyager Class figures to build more Combiner super robot figures. 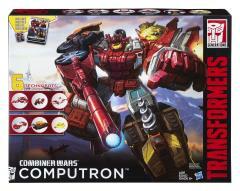 The pack includes 12 accessories, a Cybaxx mini space shuttle figure, a Combiner Wars poster, and a collectible Computron character card.